The grand master of data has now reduced their that allocation, this is a very sad one as they have be holding the title of grand masters of data for some time now. I really don't know the reason of this sudden change but can it be recession or what? =>>1000naira now gives 1.6GB instead of 3.2GB. =>>2,000naira now gives 3.75GB instead of 7.5GB. =>>2,500Naira now Gives 5GB instead of 10GB. =>>3,000naira now gives 6GB instead of 12GB. =>>4,000Naira now Gives 8GB instead of 18GB. 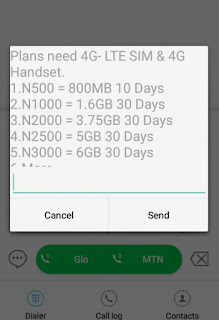 =>>5,000naira now Gives 12GB instead of 24GB. =>>8,000naira now gives 16GB instead of 48GB. 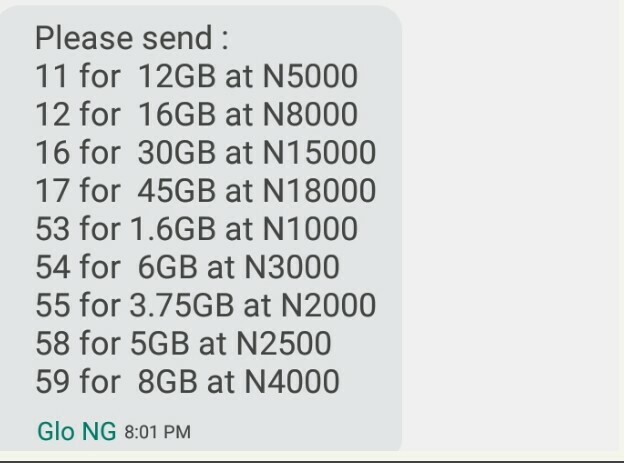 =>>15,000naira now gives 30GB instead of 60GB. =>>18,000naira now gives 45GB instead of 90GB. Glo has lost the love of its subscribers , they really need to take a second think of this .